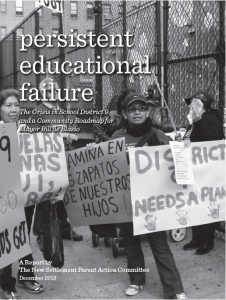 CEJ’s brief “Community Schools & Mayor de Blasio: Preparing the Next Generation College & Careers” was designed to influence and shape Mayor de Blasio’s community schools initiative. 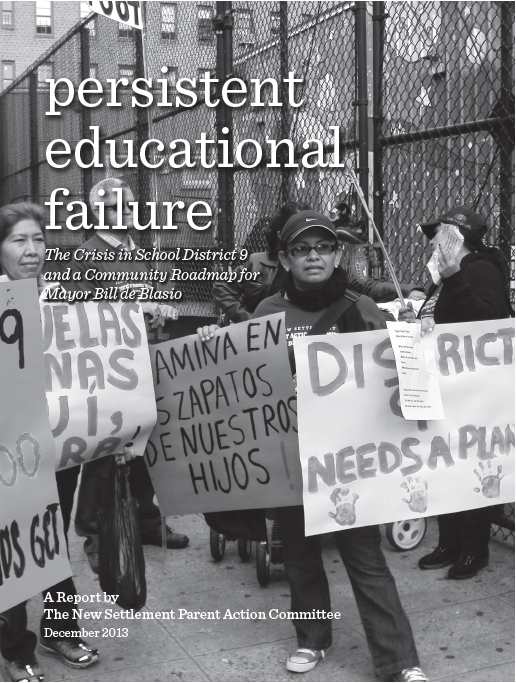 The policy brief lays out recommendations for how de Blasio can follow through on his promise to create at least 100 community schools by the end of his first term. 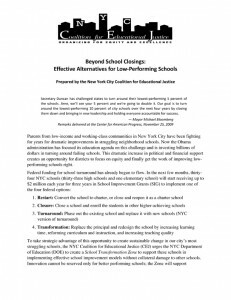 It discusses guiding principles for implementation of community schools, a three-year timeline and proposes an estimated $50 million budget and plan for engaging key stakeholders in rolling out the initiative. A report released by the Annenberg Institute for School Reform last year showed that after a decade of the most expansive high school choice system in the country, the college readiness of New York City high school graduates is still very highly correlated with the neighborhood they come from.